JUNEAU, Alaska (AP) — Gov. Mike Dunleavy's two appointments to the board that regulates Alaska's legal marijuana industry face confirmation hearings Tuesday. 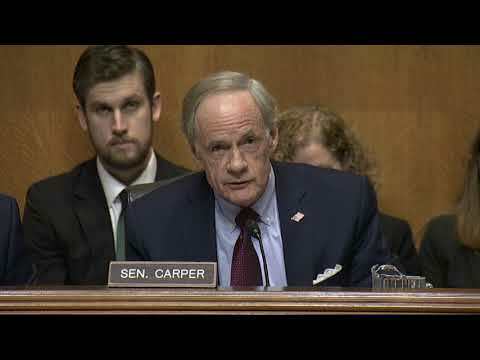 PROVIDENCE, R.I. (AP) — The Rhode Island Senate pushed through three lifetime judicial confirmations following the refusal by legislators to make key documents in the trio's nomination packets available to the public. JUNEAU, Alaska (AP) — Alaska's attorney general says he can set aside his personal views on issues like abortion in performing his duties. JUNEAU, Alaska (AP) — A member of Alaska Gov. Mike Dunleavy's Cabinet resigned Thursday amid accusations he lied about his business background. Department of Administration Commissioner Jonathan Quick tendered his resignation — even after the governor's office stood behind him — saying he didn't want to become a distraction. WASHINGTON (AP) — President Donald Trump's nominee for attorney general on Tuesday defended his decision to send an unsolicited memo to the Justice Department criticizing an aspect of the special counsel's Russia investigation, saying he was simply trying to warn senior Justice Department officials against "stretching a statute" to conclude that the president had obstructed justice. President Donald Trump's nominee for attorney general will tell senators "it is vitally important" that special counsel Robert Mueller be allowed to complete his Russia investigation. 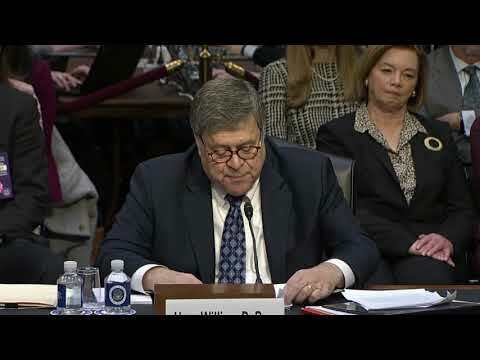 WASHINGTON (AP) — The Senate Judiciary Committee has set a confirmation hearing for later this month for President Donald Trump's pick for attorney general, William Barr. PHOENIX (AP) — Retired U.S. Sen. Jon Kyl said Wednesday that Supreme Court Justice Brett Kavanaugh's confirmation hearings should teach senators that they have to take special effort in the future to avoid making such hearings appear too political and too rowdy. WASHINGTON (AP) — President Donald Trump's pick for attorney general, William Barr, sent an unsolicited memo to the Justice Department this year criticizing a central prong of the special counsel's Russia investigation, attacking as "fatally misconceived" the idea the president could have obstructed justice. NASHVILLE, Tenn. (AP) — Republican Sen. Lindsey Graham is bringing his midterm campaign trail tour to Tennessee, where he will rally support for GOP Rep. Marsha Blackburn's Senate bid. WASHINGTON (AP) — Just when it seemed the partisan divide on the Senate Judiciary Committee couldn't get much worse, it did. Every Democrat on the panel skipped a Wednesday hearing on judicial nominations. The Democrats said the hearing should have been canceled because the Senate is not in session ahead of next month's election and they described going ahead with the hearing as unprecedented. WASHINGTON (AP) — President Donald Trump on Tuesday criticized rapidly mounting global condemnation of Saudi Arabia over the mystery of missing journalist Jamal Khashoggi, warning of a rush to judgment and echoing the Saudis' request for patience. WASHINGTON (AP) — There's a lot of scolding about smack talk in Washington these days, and whether "civility" in politics is possible — or even desirable — ahead of the Nov. 6 midterm elections. Lots of Americans got riled up over Justice Brett Kavanaugh's confirmation hearings. Party leaders are busy branding opponents as "mobs" gone mad, and worse. Then there is President Donald Trump, an innovator in the field of broadcasting deeply personal and sometimes effective insults. The complaints deal with statements Kavanaugh made during his confirmation hearings. They were filed originally with Kavanaugh's old court, the U.S. Court of Appeals for the District of Columbia Circuit.